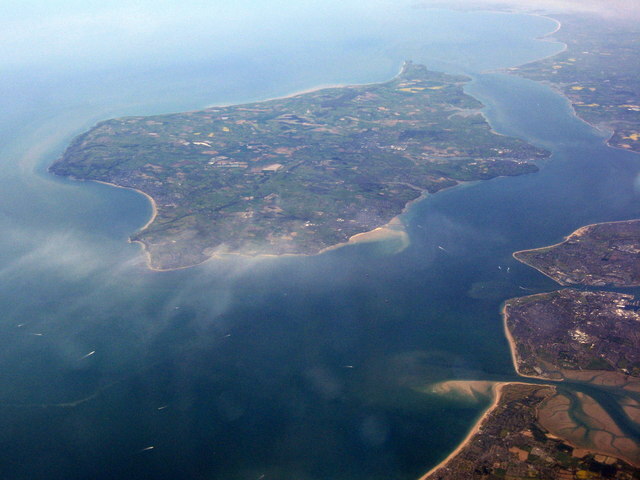 Solar on the isle of Wight will face a period of varying curtailment this summer due to upgrade works by National Grid and SSEN. Image: M J Richardson. Solar farms on the Isle of Wight are set for a summer of rolling constraint periods while Scottish and Southern Electricity Networks (SSEN) and National Grid conducts work on the island’s infrastructure, Solar Power Portal can exclusively reveal. The Isle's utility-scale solar farms, which SPP understands amount to around 70MW in capacity including a 3.95MW community energy project, will be fully constrained for three days in August, while further upgrades to the island’s overhead lines will see the likes of Octopus, Bluefield, Low Carbon and Magnetar face variable constraints at their sites between 10 July and 27 October. In addition, none of the generators will be entitled to compensation stemming from the unavailability of the network during the planned outages, primarily due to their acceptance of grid constraints as part of their non-firm connection agreements, rather than pay for infrastructure upgrades in preparation for their sites. Had the asset owners agreed to pay for upgrades to the energy infrastructure of the island, they would have been entitled to a small level of remuneration from SSEN under the Distribution Network Unavailability Rebate scheme. SPP understands that National Grid’s work on its super grid transformers between 31 July and 25 August will see significant constraints placed on the island’s generators. SSEN has requested that National Grid postpones the upgrade works to lessen the impact on solar during peak months of potential generation but it remains unclear if this will be considered. Meanwhile, SSEN has aligned its own overhead line re-build project with the outages to ‘minimise the overall effect on the IOW [Isle of Wight] generation customers’. With this work lasting until October, SSEN told SPP that the amount of megawatts being constrained will vary throughout the duration of the outage. Currently the works will require two generators to be constrained fully during this period, with SSEN stating this would be a matter of regulatory compliance between the DNO and the generators. SPP understands that the outlook for the generators on the island was considerably worse, with potential for full curtailment for longer periods of time. However, pressure from generators has led to SSEN moving quicker than previously to improve the situation despite early resistance. The DNO added that the variation of curtailment will depend on what it perceives as rising levels of demand on the island thoroughout the period, which it said could see constraints relaxed or potentially removed. However, summer periods historically result in lower demand on the grid, making it unlikely these constraints will be lifted. Among those affected is Octopus Investments, which has four solar farms on the Isle of Wight with a combined capacity of 18MW. The company would not comment on the situation, with a spokesperson saying only that Octopus has “frequent and regular conversations” with SSEN to “ensure the projects are running as well as they possibly can to ensure the best possible returns for investors”. SPP received a similar response from Low Carbon, which has a 7MW farm on the island, who refused to comment. Bluefield also failed to respond to questions about the impact on its two projects, which have a combined capacity of 10MW. It is also unclear how the 4MW Wight Community Energy project alongside Mongoose will be affected, as any interruption to its generation will put returns to community investors, the Isle of White council – which loaned £1.7 million to the project - and community benefit fund at risk.